Tablets such as the iPad – ever noticed how similar they are to PADDs? For those of you who don’t know; the PADD is the Personal Access Display Device used in most of the Star Trek series. There were a number of different designs of the PADDs, varying from those that seemed to be built in to the ship control consoles, to those that were carried around. These consisted primarily of touch screens (much like modern day tablet computers) and varied in size. Okay – maybe you aren’t a Star Trek fan, but it isn’t any real surprise that some of the biggest technological genius’ in history were. Take Martin Cooper for example; he invented the mobile phone. 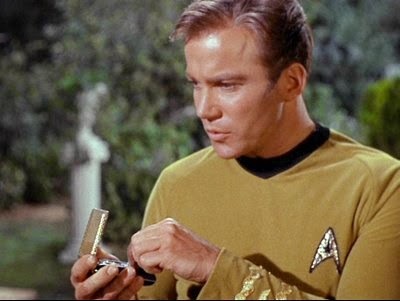 Not only was he a Star Trek fan, but he actually stated that his inspiration came from watching Captain Kirk, from the original Star Trek series, using his communicator. If he hadn’t been a Trekkie we might not be as far along with mobile communication as we are now. Moving away from the Star Trek inventions, for the sake of you lesser interested parties – I give you the driverless car. Actually this is one that we’ve seen in a few places, possibly because the idea is reasonably basic and yet seemingly far-fetched it makes an excellent option for science fiction. The idea is essentially an advanced version of autopilot, though of course some take it a little further than others, with varying levels of intelligence on the part of the vehicle. 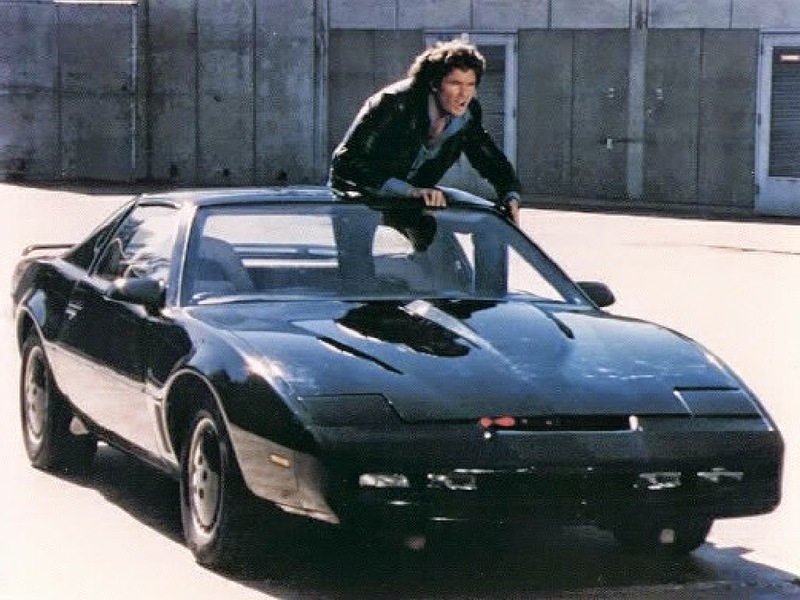 KITT, for example, was the autonomous car in the Knight Rider TV series, and was one of the much more advanced examples given that the vehicle was sentient; self-aware, capable of expressive feelings (and even with an ego that was prone to bruising) this particular car had a full on personality, and a bad one at that. One of the key factors that is becoming replicated in modern vehicles are the drive modes that we saw in KITT; he had a normal cruise mode, in which Michael had control of the vehicle, and automatic cruise mode, in which KITT could self-drive and of course the pursuit mode, which was a sort of mix between the two, allowing Michael to be in control of the vehicle but automatic systems in place to compensate for a human driver’s slower reaction times during difficult conditions and manoeuvres. There are now a few different examples of driverless cars around, with a number of different vehicles offering automatic self-drive functions such as assisted parking, as well as some offering more full autonomous features, such as ‘Junior’ the robotic Passat, the ‘Autonomous Drive’ prototype fitted to a Nissan Leaf or even the highly secretive Google plans for 100 autonomous car prototypes, which was announced May this year. Okay – robots and androids are essentially the same thing. Robots look like robots, androids look like people. You’ve seen them in lots of places, filling various roles; Star Wars’ R2D2 and C3PO, iRobot’s Sunny, Star Trek: The Next Generation’s Commander Data – they’re endless. But more importantly – they’re real. There are a few variations; some of the less human looking ones are more advanced in terms of adaptability, some of which are capable of adapting the way they move if they find they have been damaged, but there are some more human orientated options, such as Pepper – the companion robot developed by Japan’s large technology and mobile communications company SoftBank. Now – we’ve a long way off having the sort of standard of robot or android that you see with Commander Data or Terminator (lets ignore the liquid capabilities of Terminator 2 for the sake of covering potentially possible options), but advanced robotics, intelligent AI (to the point of being able to fool us into appearing human in some cases) does already exist and will continue to improve as time goes on. It’s an exciting and strange prospect, but quite possible that robotics will eventually be a part of our day-to-day lives. Every sci-fi lover’s dream – a jet pack. These aren’t just real, but they’re already expected for commercial launch. It has been announced that you will be able to purchase your very own jetpack in 2015 / 2016, depending on whether you want a commercial jetpack (designed to help in working environments involved in saving human lives such as fire rescue and first response, medical attention in difficult areas etc.) or whether you want a personal jetpack (you know, for getting to work and stuff, the super fun way). You’ll get to feel just like Sean Connery’s James Bond (as seen in Thunderball), and of course there are no shortage of your science fiction heroes that have really rocked the jetpack, which makes it a popular options for just about anyone. Sadly there is no word yet on how much your very own jetpack is likely to set you back. Kate Critchlow is a technology enthusiastic freelance writer with a particular interest in science fiction and modern technology, writing to cover a range of topics from Pepper the Robot to cloud technologies.